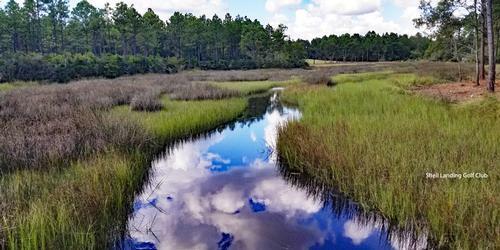 Nature's Golf - A truly memorable, world-class experience designed to bring golfers closer to nature. 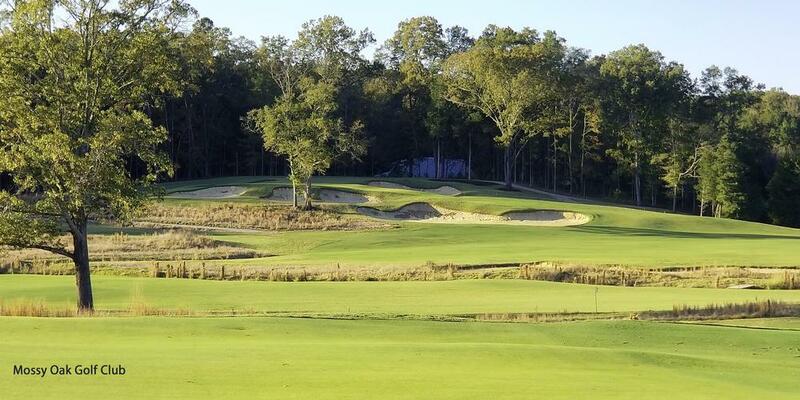 The Mossy Oak Golf Club in West Point, MS is the result of a golf course working in harmony with its natural surroundings. Not only is this incredible layout a work that is quite beholding to the eyes, it's a delight to all of those who accept the challenge to play it. Mossy Oak sits on what once was an old dairy farm for about 100 years; complete with two cow ponds and a number of hills, which explains the elevation changes. Those two cow ponds are now stocked with Tiger bass; something else to do if the golf thing isn't working out for you! Located on the Mossy Oak property is the official practice facility of the Mississippi State University men's and women's golf teams. 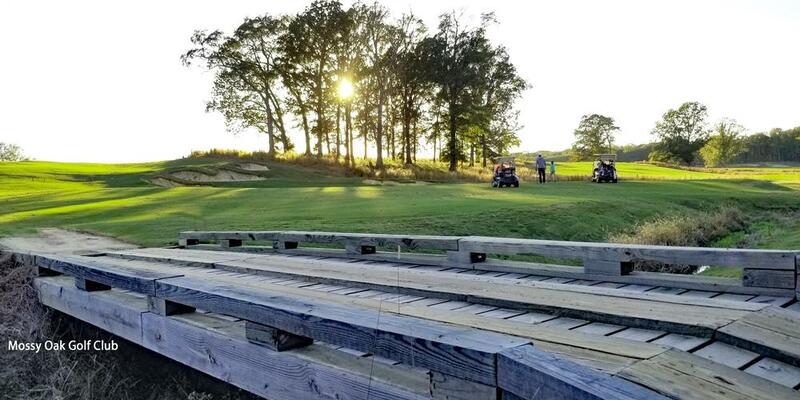 The facility is separate from Mossy Oak Golf Club and includes five target greens on the range, short-game training areas with bunkers and a 16,000 square foot putting green cut in the shape of the State of Mississippi. Inside the 6,400-square foot MSU team clubhouse, you'll find men's and women's locker rooms, players' lounges, coaches' offices, an indoor putting center complete with a SAM PuttLab training system, as well as exercise and conference rooms. There's also 2,400-square feet of indoor hitting bays equipped with two Trackman swing and ball flight analysis systems. In true minimalist fashion, Hanse didn't move much dirt in creating Mossy Oak; the truth is, he didn't need to. In fact the majority of the dirt that was moved was done so to create a 7.5-acre irrigation lake. All of the bunkers you encounter as you make your way around the layout use sand that was taken from local riverbeds. One look at the bunker that fronts the 4th green, and you'll realize that filling these bunkers took a lot of work! 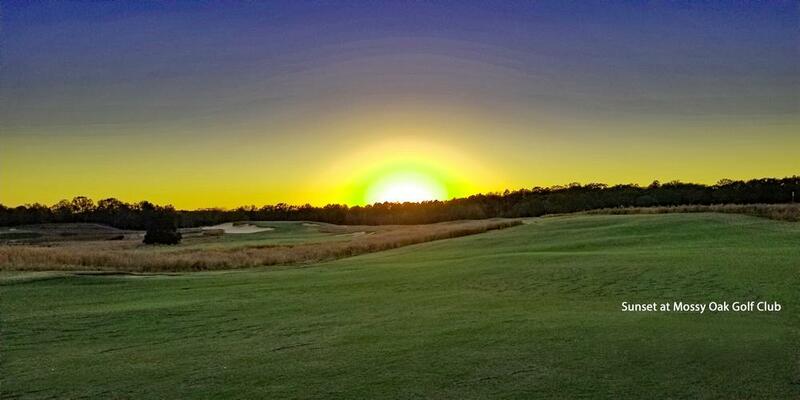 Depending on your game, Mossy Oak can play anywhere between 7,212 and 5,530 yards; ladies will have an enjoyable round from the Red Tees at 5,089 yards. Choose the yardage that best fists you game, and you're sure to enjoy yourself. Hanse's bunkers take center stage on the par 3, 4th hole. From the Blue Tees the hole plays 173 yards; slightly longer when you factor in the fact that it's uphill. The green is large and features a lot of slope and undulation. The front left bunker sits about 8 ft. below the putting surface making up and down that much tougher. 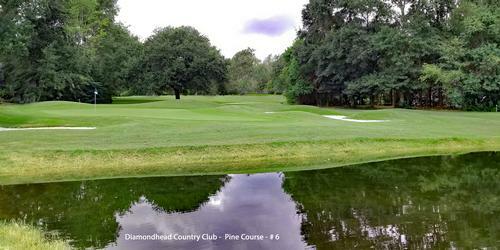 As you look around from the 4th tee box, you get a great panoramic few of the course. Many players will find favor with the par 4, 10th hole. 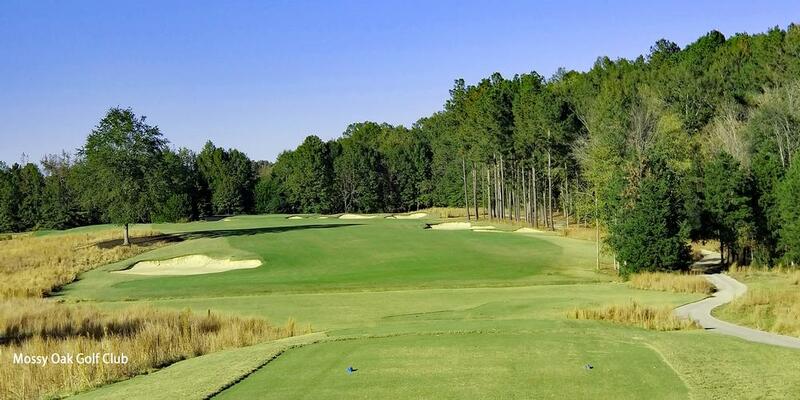 Although the scorecards states 282 yards from the Blue Tees, it plays closer to 250 yards, making it a true risk/reward opportunity for many golfers. Carry the trees on the right if you want to have a chance of making the green off the tee. You'll find after playing the hole a few times that the necessary line off the tee is a lot further left than you think. And don't be fooled by the false front on the green. Better yet, hit something less than driver off the tee, leave a makeable chip shot and walk away with birdie. From the Blue tees, Number 11 plays 224 yards, most of which is carry over a lake. However there is a bailout area short and left. There's a lot of undulation in the green, and the three bunkers left of the green see a lot of play. Walk away with a par (or better) and consider it a success. Of the two lakes on Number 18, the first one really shouldn't come into play; it's less than a 150-yard carry from the Blue Tees. If possible, play down the right side of the fairway to have the best look into the green. 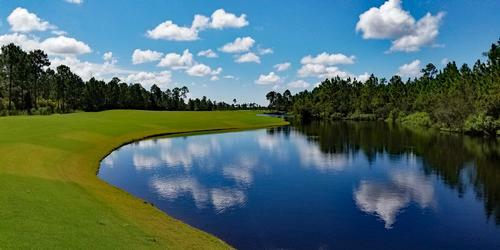 Should you leave yourself a shot at the green, you'll have about 160 yards to a long, angled green protected on the left by a lake and a bunker. The putting surface slopes back to front, so leave yourself below the hole if possible. 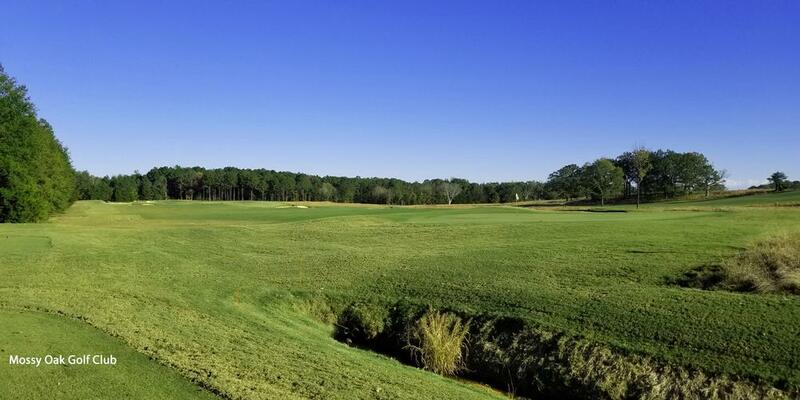 Although many of the tee shots at Mossy Oak are played to wide open fairways, don't let this lull you into a false sense of security. You still need to be in the proper position in the fairway in order to hit and hold the green. You'll face a number of blind shots both off the tee and on your approach and several false fronted greens can leave you scratching your head. 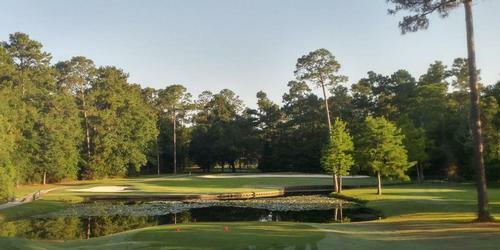 But what sets Mossy Oak apart from other Mississippi golf courses are the green complexes. The majority of greens are elevated; several require knowledge of where to hit it on the green in order to not have it roll off and past you. All greens putt true and fast with subtle undulations.